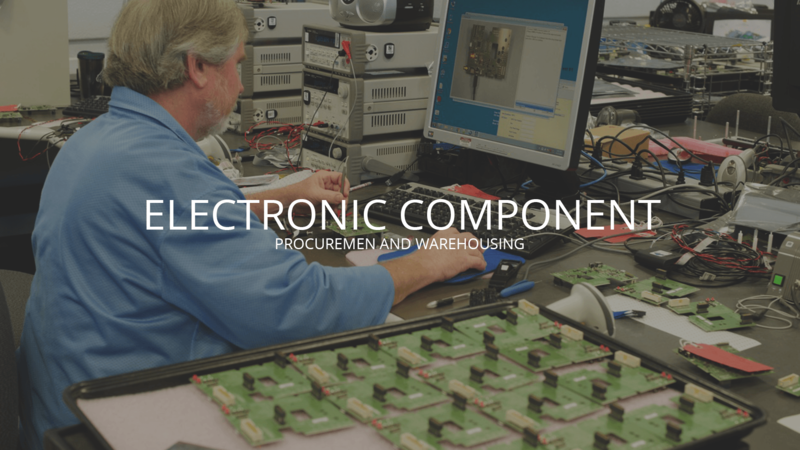 At WORLD electronics, we use our substantial connections with our procurement partners to achieve the best deal for our clients. We can produce a substantial number of pilot units prior to the official manufacturing stage, giving our projects clear direction, and can fast-track changes in materials and components because of our close relationships with our suppliers. How does WORLD electronics strategize procurement and warehousing? Our development costs are low because our objectives are aligned with our customers: bringing the product into the market as cost effectively as possible. Consequently, WORLD electronics works the supply chain aggressively for delivery dates that far exceed industry averages. Complex builds have been turned in 3-4 weeks. Additionally, WORLD electronics retains an inventory of over 50,000 active items in its warehouse and distribution center, which can reduce lead-times dramatically. In the past, our clients have utilized our efficient warehousing to bring products to market far quicker than our competitors could. We then work with our clients to identify the parts in their product most likely to cause issues about availability, EOL, and NCNR. Once this is determined, WORLD identifies the best way of procuring these products, as well as the number to keep excess at a minimum but allow some spares to keep on hand to address any returns or repairs. WORLD’s custom-tailored ERP system manages the procurement of these parts within pre-set parameters. The result is preventing our clients from ever having to worry about addressing a spare part shortage. By placing spare parts orders simultaneously with a production order, WORLD is able to collectively leverage and optimize production volume pricing through the qualified supply chain. Excess part management agreements with WORLD are well defined and offer tremendous flexibility, as WORLD has a solid understanding of the seasonal peaks and valleys associated with part management, and the overall unpredictability of when components will truly need to be replaced because of intermittent usage and wear and tear trends. What are the benefits of procuring components this way? In addition to WORLD’s proven design, engineering, and contract manufacturing services, WORLD has a core competency of managing clients’ BOM inventories. Because of WORLD’s extensive global connections from which we procure products, WORLD receives globally competitive pricing on all core items contained in those products. We have established relationships and communication channels with all parts suppliers of our client’s products. This results in significant long-term savings that we can pass on to our clients, whose products are cheaper to produce, and therefore can either become cheaper to the market or more profitable for the business. WORLD fulfills parts procurement for its OEM customers and has a tremendous track record of exceeding the defined expectations as defined in customer agreements. WORLD realizes that downtime can be extremely costly to you and your customers, so our flexible programs are custom tailored to limit any disruption to machine productivity. No matter the size, shape, or type of part you are looking to have fulfilled by WORLD, you can trust our procurement strategies to drastically reduce the time it takes to bring a product to market. WORLD is ready to work with you. As standard, all components are evaluated for their Moisture Sensitivity Level, including PCBs, and appropriate measures are taken. All parts deemed to have a high MSL are baked out and sealed with a desiccant to prolong shelf life and prevent any latent failures. At any point should our client face the need to procure a large number of spare parts on a short deadline, WORLD’s procurement and warehousing strategies ensure that customer needs can be met as soon as possible for every one of our clients.